As mentioned on my Pruning Tips page, tree safety is one of the two most important aspects of tree care. And a critical component of tree safety is knowing how to assess potentially hazardous trees or limbs. Being able to detect decay is a major part of that. A few things to understand right off the top about this subject; tree decay is caused by numerous species of fungi, and often the loss of wood strength they cause is not visible externally. That means that no intelligent arborist is going to guarantee the safety of any tree or limb with 100% certainty. A future post will discuss tree anatomy and physiology in greater detail, but for this subject it is important to know that the vast majority of a tree’s “business”, that is the transport of water and nutrients that keeps it alive, is occurring in the newest wood, that created in the most recent growing season, which is located immediately below the bark. That is why a tree can be completely hollow and still look green and beautiful. The inner wood (misleadingly called the “heartwood”) is largely inactive physiologically. However, if this heartwood is missing, in either a trunk or an individual limb, quite a bit of strength loss can occur, increasing the probability of failure. Sometimes this occurs with an external opening (frequently referred to as a “cavity”), which increases the risk of failure even more, but also making the defect much more noticeable. Other times, as alluded to above, there is no external sign. Although the tree or limb is likely more structurally sound in this case, it is also more likely to go unnoticed. Another sign of decay fungi is the fungus itself, visible when its fruiting body is present. These are sometimes referred to as “conks” but most people know them more commonly as mushrooms. And just like picking an apple off an apple tree doesn’t kill the apple tree, removing these conks isn’t going to kill the decay fungus living in a tree. That is partly why there is no effective treatment for decay fungi. This is an important thing to keep in mind when hiring an arborist to deal with possible decay problems. If they are telling you they have some kind of treatment, either physical or chemical, that can eradicate decay fungi, they are trying to sell you something that will not work. 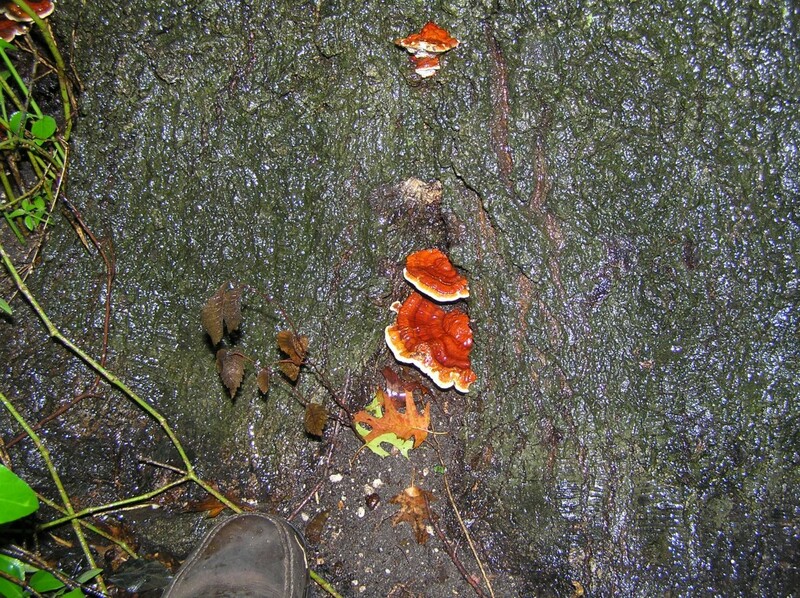 That is not to say that there are not treatments for many other types of fungal problems. There are. Just not successful ones for decay fungi. 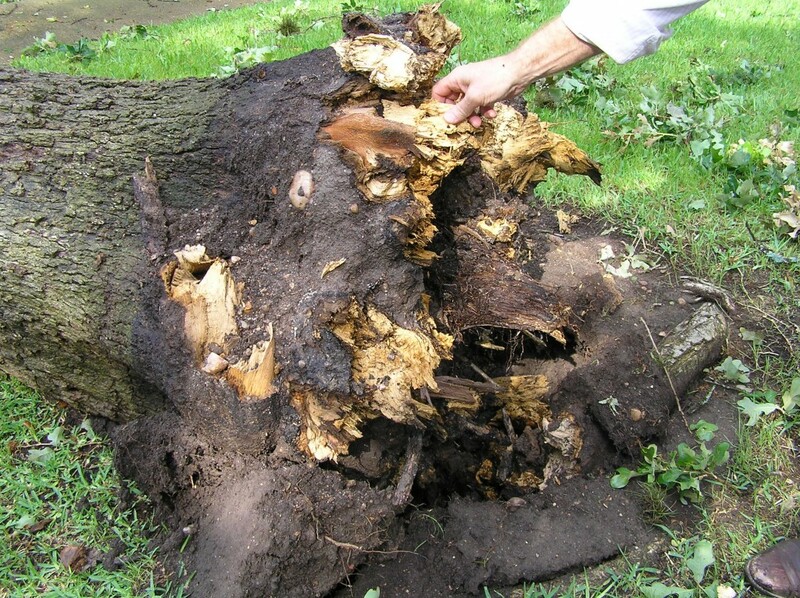 Dealing with decayed trees or limbs begins with an assessment of their severity. This is usually accomplished visually, but much less frequently through an internal assessment. A competent arborist can explain the options available. One of the biggest factors in determining the risk level present is simply assessing what can happen if the tree fails. For example, is it in the middle of a rarely used field, or is it over a playground? This greatly affects whether one will decide to leave the tree or limb alone, remove it, or support it. Sometimes support cables can be a reasonable option. They can also be used to support limbs that have physical defects in them rather than actual decay, or to keep them from gradually getting closer to a building or walkway due to weight (the main header of my blog shows me installing a support cable for this purpose). One technique that was common for years that was discredited a few decades ago by the research of Dr. Alex Shigo (see Pruning Tips page) is the idea of carving out these decayed areas and filling them with concrete. This so-called cavity work was really something of an art form when done precisely, but Dr. Shigo’s research indicated that in the vast majority of cases, this work was either harmful (when healthy tissue was damaged and/or infected by the process) or just plain useless. Trees are able to internally “compartmentalize” the decay and withstand the water often held by such cavities. A competent arborist can fully explain Shigo’s theory of compartmentalization to you. The biggest benefit to filling them is really just eliminating mosquitoes. In other rare instances, the filling or a metal cap over a cavity can provide a surface for new tissue to move across as the tree covers the hole, but if live tissue is damaged when applying such a treatment, more harm than good has been done. So the bottom line is that if you spot any of these types of irregularities, you need to consult with a competent arborist for an accurate assessment. You certainly want to protect your family and property from failing trees. 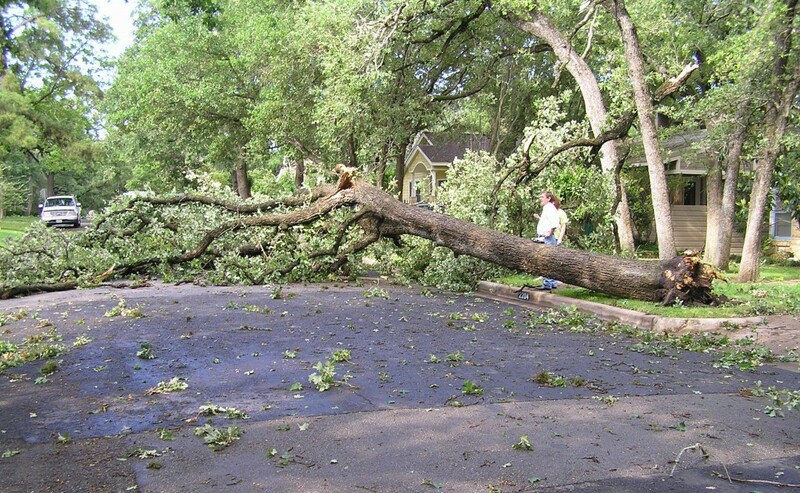 You have a duty to protect others by taking reasonable precautions to prevent trees on your property from failing. 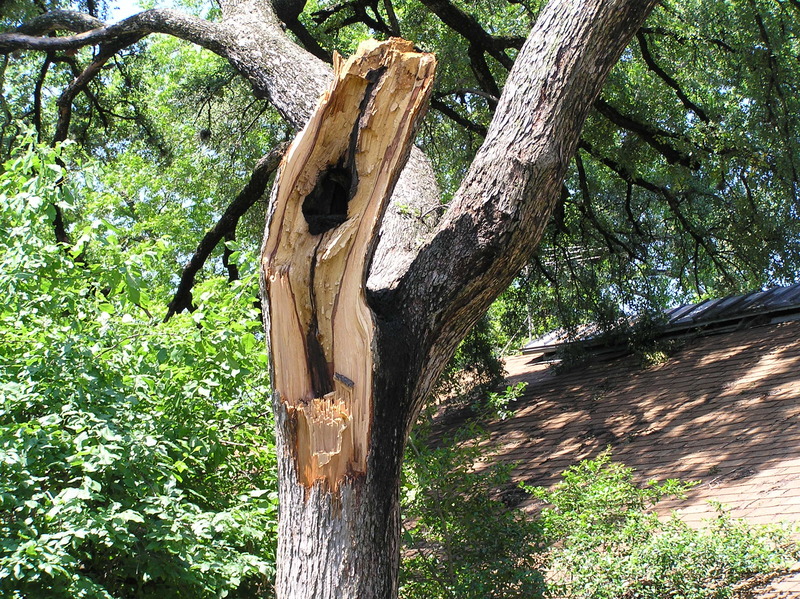 This is something a knowledgeable arborist can help you do, but it it important to understand that only you can decide what level of risk is acceptable, and no assessment of tree hazards is a guarantee against injury.